FINAL DAYS! 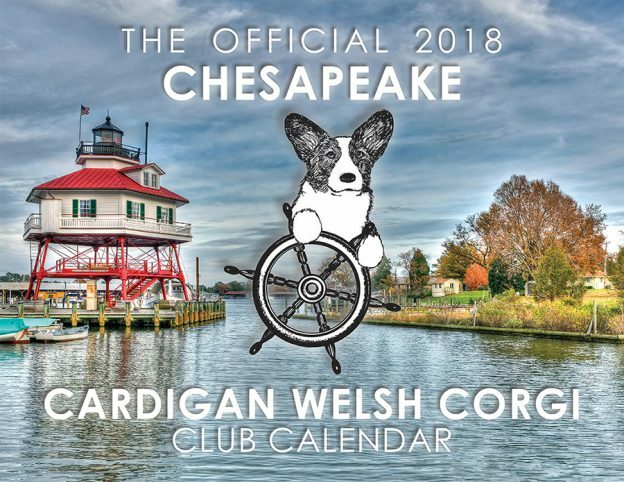 2018 CCWCC Calendars On Sale NOW! 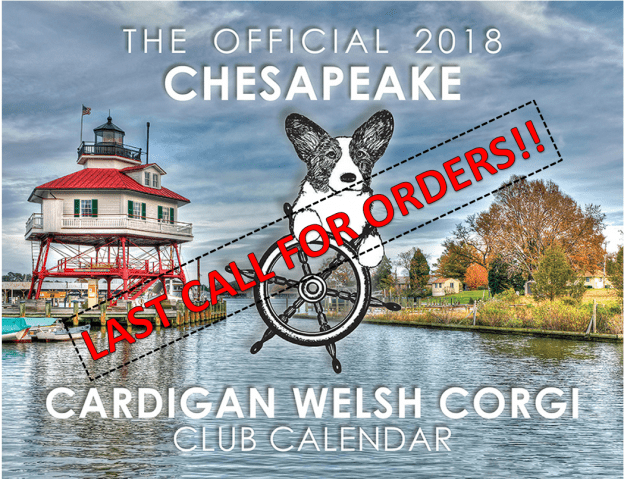 Last call! 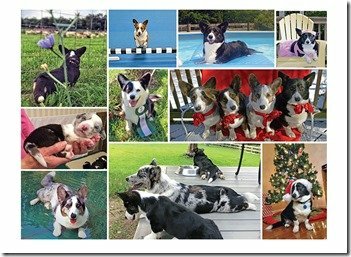 Purchase Your 2018 Calendar Today! 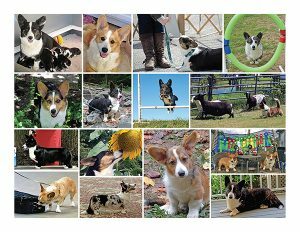 The first printing of the 2018 Calendar has sold out and we are doing a small second printing. Deadline for Payment: October 31, 2017. 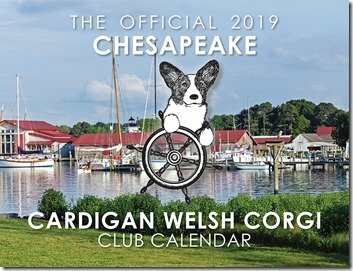 You may purchase your calendar in person or by mail. 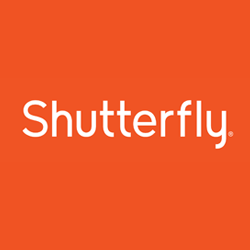 This entry was posted in Events and tagged calendar on October 25, 2017 by chesapeakecardis. 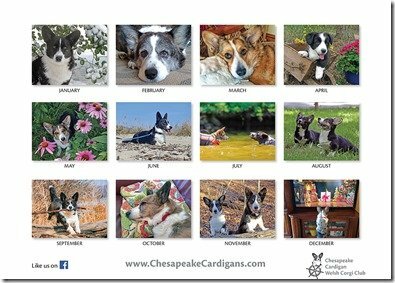 2018 Chesapeake Cardigan Welsh Corgi Club Calendars On Sale NOW! 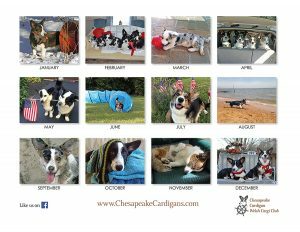 Purchase Your 2018 Calendar Today! 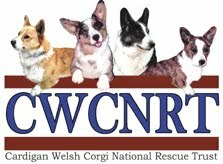 If you would like to pick up your calendar in person you may do so at the October 14, 2017 Specialty at the Howard County Fairgrounds or at the next Club Meeting/Holiday Party in December. 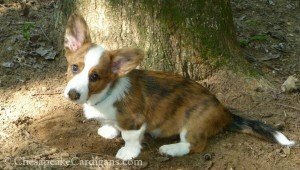 This entry was posted in Events and tagged calendar, CCWCC, MemberPhotos on October 1, 2017 by chesapeakecardis. 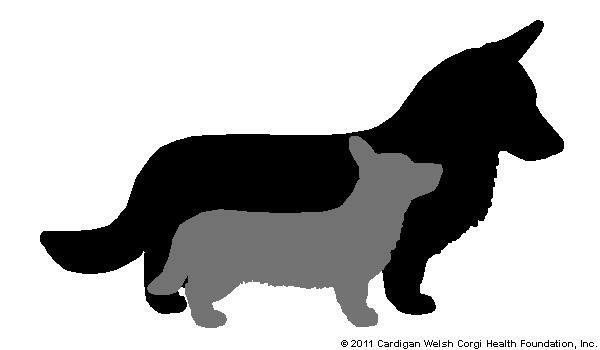 The club calendars are still being compiled, but here’s a sneak peek of two club cuties that will be featured! 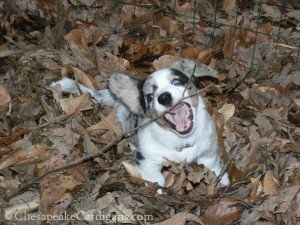 This entry was posted in Member Photos and tagged amber, banjo, calendar on October 3, 2014 by chesapeakecardis.